There will be some significant disruption to study spaces this week. On Monday 3rd and Tuesday 4th PCs are being replaced on Level 1. This will affect the silent study room on both days, and the rest of Level 1 on Tuesday. You are welcome to use any desks on Level 1 which don’t have PCs on, however please be aware that there will be noise disruption. Alternative PCs are available across the building. 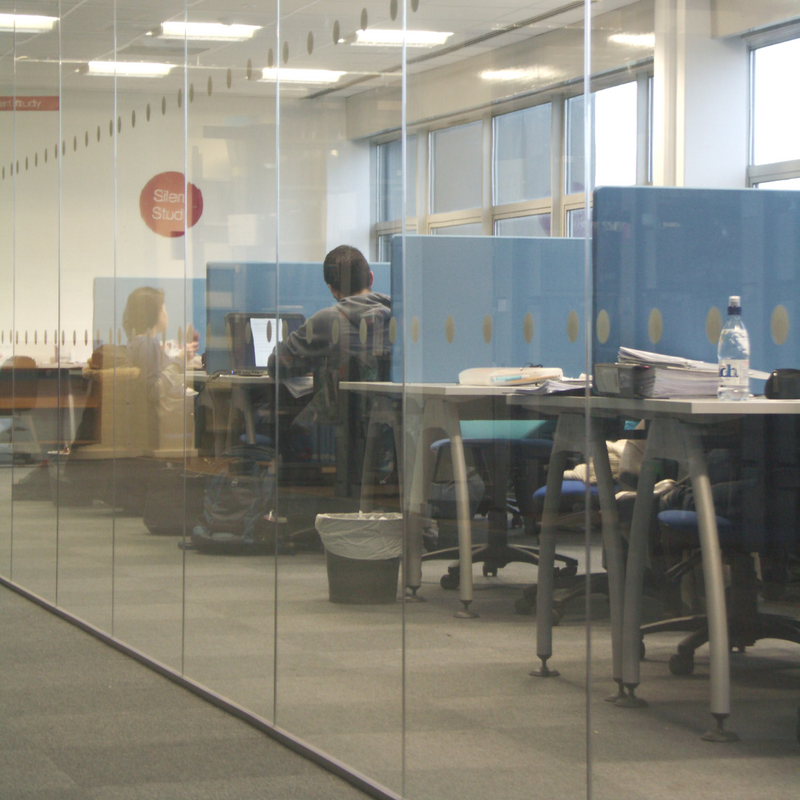 On Tuesday 4th and Wednesday 5th the open plan silent study zone on Level 2 will be having a glass wall fitted to soundproof the area. There will be no study spaces available here on both days. Alternative silent study can be found in the Learning Centre on Level 2, and on Level 1 on Wednesday. There will be significant noise disruption whilst the wall is fitted. Any updates to this information will be posted on Twitter – @SurreyLib. We’re very sorry for the inconvenience that this work may cause and thank you for your ongoing patience. If you need any help at all finding somewhere suitable to study, please speak to staff at the Support Hub on Level 1.